This closely aligns with Kantar Millward Brown's global analysis of media effectiveness, which found that only 46% of campaigns are well integrated across multiple channels. The new study, which polled 14,000 people between August and November 2017, shows that conversely, 89% of marketers believe they deliver well integrated campaigns across desktop, mobile and TV. The problem with this disconnect between what marketers believe and reality is that it can stifle campaign effectiveness. 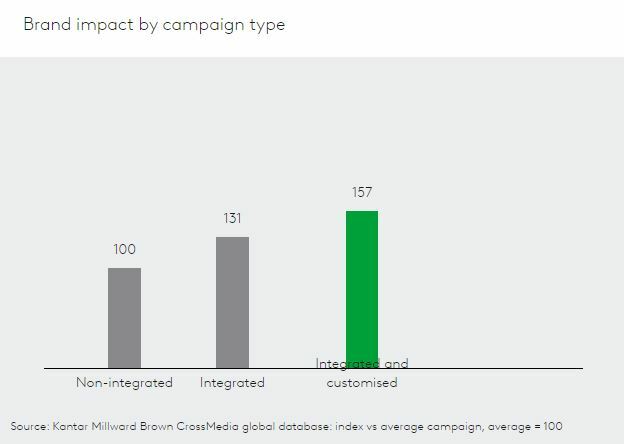 Kantar Millward Brown found that well-integrated campaigns are 31% more effective at building brands and when they are also customised, effectiveness improves by as much as 57%, delivering a better return on investment. 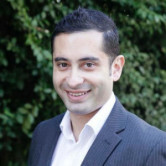 Kantar Millward Brown Australia senior media consultant Allan Breiland says local marketers need to review their strategies more closely. “It is vital to stand out in an increasingly fragmented media landscape, and flawlessly delivering integrated communication across touchpoints is critical to deliver brand impact,” Breiland says. 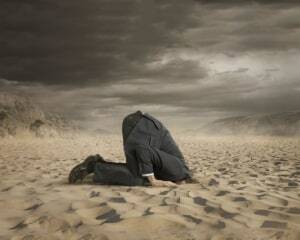 Disjointed advertising campaigns can alienate and frustrate consumers. 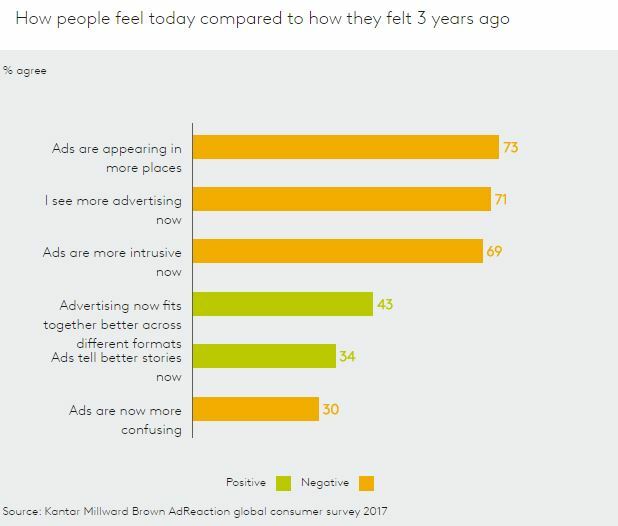 In the same study, 'AdReaction: The Art of Integration', it was found that 69% of consumers agree that ads are more intrusive today and a similar proportion believe they are negative. The study also found that well integrated campaigns have the greatest uplift on TV and online video. “Consumers feel overwhelmed by advertising from all angles while marketers struggle to make the most of ad formats and channels to best reach consumers," Duncan Southgate, the global brand director of media and digital at Kantar Millward Brown, says. 1. Integrate more campaign cues. Integrated campaigns are 31% more effective at brand building, yet one in four are not well integrated. Consumers expect multichannel campaigns to deliver basic connective elements (such as the same logo and slogan). The study shows that consistent characters are the individual cues that most help brand impact and differentiate the best campaigns. 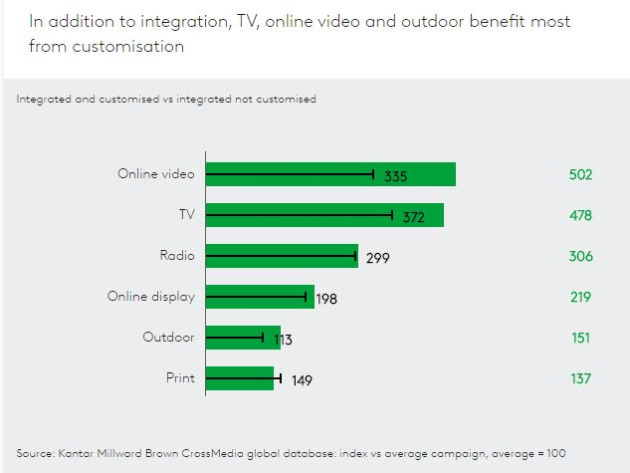 All channels benefit from synergies – the strongest overall combinations are between TV and Facebook, and TV and outdoor. 2. Start with a strong campaign idea. The idea is the most important campaign component to connect and integrate all content. Campaigns with a strong central idea perform better across all brand KPIs (+64%), especially brand image associations (+91%), and across all channels. 3. Make each ad in an integrated campaign amazing. Within multichannel pretesting, a campaign is defined most closely by the average of all executions, even more so than the best or worst individual execution. Unless media spend is skewed towards one execution, every piece of content matters and contributes to overall success and brand building. 4. Invest only in channels that have a clear role in the campaign. Choose channels wisely. Only use those with a clear role in audience reach and understand what each can deliver in terms of impact and cost. For example, online ads are cost effective in extending TV reach and building brand metrics from awareness through to purchase intent; but consumer attitudes are more positive towards traditional media than online advertising, with a far higher recall for negative online targeting experiences. Lower cost and CPMs does not always represent better value. 5. Customise content for each channel. There is a sweet spot between integration and customisation. A strong integrated campaign must be flexible enough to enable novel, complementary content, but familiar enough to tightly link the key campaign elements. Marketers are far more optimistic about the effectiveness of their multichannel campaigns than consumers, research has found. Ineffective multichannel marketing is hindering the effectiveness of advertising campaigns, leading to growing frustration and apathy from consumers, as well as hindering the return on investment from campaigns. In Australia, 73% of consumers see more ads across a range of media channels than three years ago but only 43% believe campaigns are better integrated. Just under half of consumers (48%) believe campaigns are well integrated.